Coatings make an indispensable contribution to the overall product life. They protect the main material from corrosion. This is especially important for construction steels as they rust easily. If we consider the prolonged life of the product, a step to lessening material waste and sustainability, we could say that all coatings are eco-friendly. However, it isn't exactly so. The majority of coatings use corrosive solvents that bring about a certain degree of pollution. If you really aim at green manufacturing, you should try out industrial powder coaing solutions. This stage is the most important in industrial powder coating because any kind of mud or particles left on the surface of the part will lead to bad adhesion of the powder and local coating failure. Where the coating fails, the corrosion starts to spread and destroys more and more of the coating from "behind". If we compare a coated part with a besieged fortress, then the coating would be its fortifications. A badly constructed wall will serve as a breach from where the enemy will spread and take over the whole fortress. The surface is usually cleaned from oil, dirt, grease and other particles by a large variety of different methods. Chemical cleaning involves the use of chromates and phosphates. Electrical cleaning involves electrocoating the part. And lastly, the Mechanical cleaning process involves sandblasting the part. Those processes are much more thorough than the ones used for liquid painting. This stage is usually done with the use of a special spray gun. The gun must ionize the powder coating particles with a positive charge. So, when the powder is sprayed it will stick better to the grounded part. This can be done either by friction or by electrostatic charging. So, Once you've sprayed the powder on, it's time to cure it. This process is necessary for the separate particles to melt and connect with each other thus forming a watertight coating that will protect the part from any type of corrosion. The curing is usually done in a powder coating oven at around 200 degrees centigrade. One of the main advantages of Industrial Powder Coating is that it can be tailored to be sustainable. Other painting methods use volatile organic compounds that contain methylene chloride, benzene, and formaldehyde. One painting job with liquid paint can get you a 1,000 times increase in those compounds compared to normal. That can lead to allergy, asthma, skin irritation, and even more serious issues not only for the painter but for the person that will be in contact with the product because the gases are emitted years after the task is done. In addition to that, chromates and phosphates that are used in chemical surface preparation are pollutants as well. You can recycle powder coating materials and receive up to 92% of the original powder, so waste is reduced and almost no water is used in the process so you won't have to get rid of it in some fancy way. The process is quite fast and cheap. It can take you a mere hour to apply the coating and the curing process is short, you'll probably need but 10 minutes in the oven to achieve the perfect surface. That's actually another advantage that could be referred to sustainability since its principles involve using less power for manufacturing processes. It is much more durable compared to other coatings. You can make powder screens much thicker without any adhesion issues and again, there are no solvents so the composition of the coating is much better. You can create advanced surface options. Gold powder coat or a silver variation is not the limit of what this manufacturing technique can offer. with the use of electromagnetic fields and other methods, you can create whole patterns on the surface of your part not achievable by liquid painting. There are no splotches and blotches. When painting, you have to be careful about how the paint lies on the part. Vertical surfaces may have an uneven coating thickness because the paint slides down from the top to the bottom of the part before solidifying. Since powder spraying uses an electromagnetic principle, there is no need to worry, the particles will all try to spread evenly to touch the surface of the part. 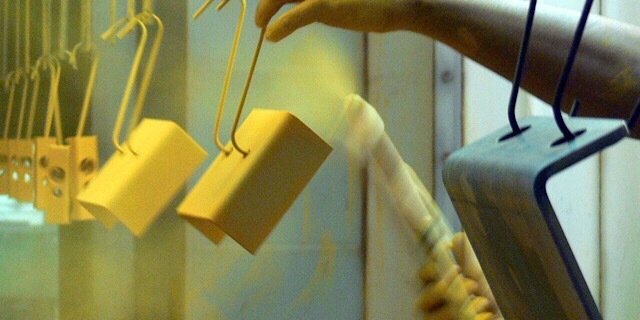 What Other Advantages Do Powder Coatings Offer? As any other manufacturing process, industrial powder coating requires specialized equipment. All the necessary tools can be divided according to the stages of the powder coating process. Preparation equipment includes all the things you need to clean the part before applying the powder. The whole set will depend on the type of material you are going to use. If you will work with construction steels, which are often supplied with rust and caked dirt, you'll definitely need a sandblasting chamber. Then, for chemical cleaning, spraying equipment, and a closed-off washing chamber are required and lastly, if your process should have high efficiency, you'd better purchase a Drying room with increased ventilation. Powder application equipment mainly includes a powder spray gun and a coating booth. There is a large number of different spray guns available in the market ranging from the simplest and cheapest and up to expensive professional versions. The majority of them use either tribology or the electrostatic principle to charge the powder particles and then spray them onto the part by using pneumatic equipment, so you'll probably need a compressor as well. The coating booth is basically just a room with a good ventilation. The curing equipment mainly includes ovens. The main variety here is the oven size and working temperature. Small powder coat ovens are useful for small powder coating shops that would lose money heating a big ice every time they need to coat a prototype. On the other hand, if the production is large, the oven can be quite impressive. The curing process can be automated as well by mounting a hook or a belt conveyor programmed to move at such speeds that each part will stay in the oven exactly as long as needed. 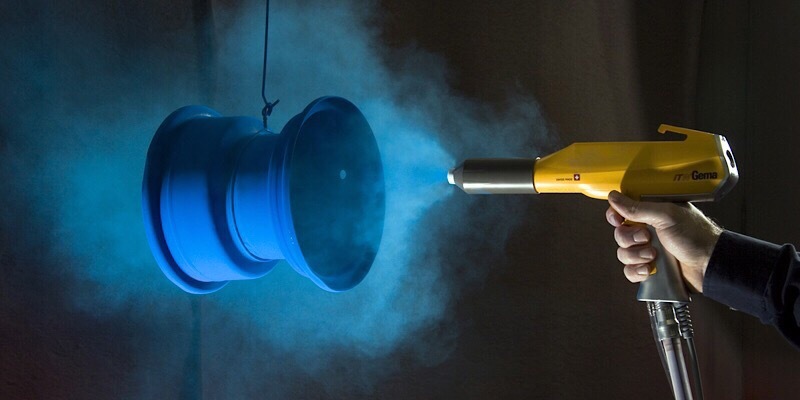 There are some additional requirements if you plan on using high-temperature powder coating. The oven will have to be insulated and have a higher degree of safety. 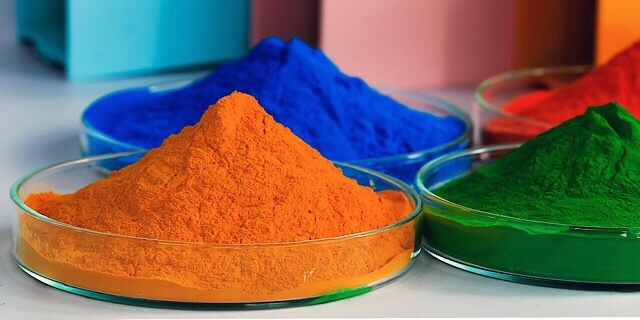 Statistics state that the powder coating market is growing fast due to its sustainability options and a low powder coating cost per part. It is expected to rise as much as up to 16,4 billion dollars in the US by 2024. 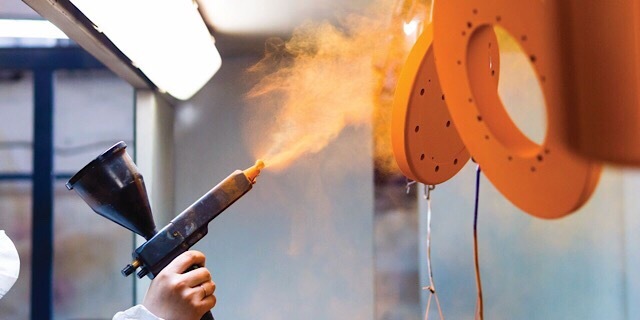 That's why a lot of powder coating shops offer their services in creating custom powder coating parts at a low price and a steady turnaround time. All of that, without any harm to the environment whatsoever. With many years' experiences of prototype finish and surface treatment for custom prototypes to final products, we are always dedicated to providing high-quality products and tools for all your industrial powder coating needs with a long-lasting, affordable finish that will protect against corrosion, chipping, scratching, and wear and tear, while also enhancing the product’s aesthetic appeal. We also speacilize in prototype manufacturing and various powder coating teachniques to make your prototype model more perfect. If you are looking for the best way to apply a high-quality, attractive finish for your fabricated metal products, parts or components etc, please feel free to contact us and see how we can help you.